Jamie McNally, Access Fund Board of Directors Vice President, just posted the new Hueco Tanks Memorandum of Understanding signed between Texas Parks and Wildlife and the Climbers of Hueco Tanks Coalition. Information contained within the MOU deals with the maintenance of anchors on roped climbs, and a prohibition of new sport routes. Read all of the info at Erockonline.com, where McNally is an active contributor. 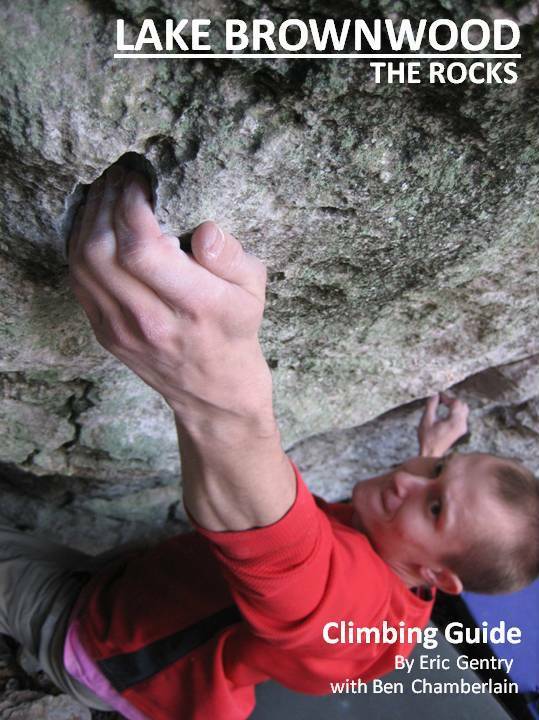 Brought to you by Abilene Climbers, the very first published guide for the Lake Brownwood rocks. Its a great little crag if you ever find yourself in the area, and any kind of effort to document and promote any Texas climbing is a worthwhile endeavor. Outstanding job gentlemen! Click on the pic to go to the PDF they uploaded. Then stop by their page and say thanks for a job well done. Camp Eagle, in the hill country, recently held a climbing event in conjunction with the USA Track and Field 50 mile national champion ship trail run they hosted this past weekend. All in all it was a great weekend, though the climber turnout was a little on the low side. There was supposed to be a healthy sized contingent of Austin climbers headed out, but most bailed. While I’m waiting for a few photos from the AbileneClimbers who made it out, I thought I’d post a video of Scott Chapman climbing the 5.12+ Say Yes To Jimi. If you’re looking for spectacular filming, look elsewhere, but if you’re looking for a simple video showing the potential of what’s out at Camp Eagle, continue watching. And here’s a nice aerial view of the property and beautiful cliff line that someone filmed from a remote control plane.